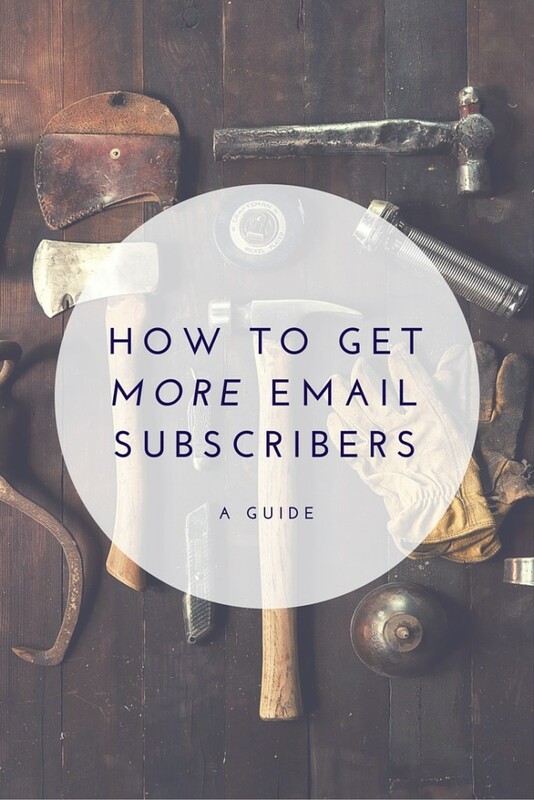 “Collecting new email subscribers” is an important part of online marketing – this post is a guide to teach you how to grow your list effectively and give you ideas to improve your conversion rate. 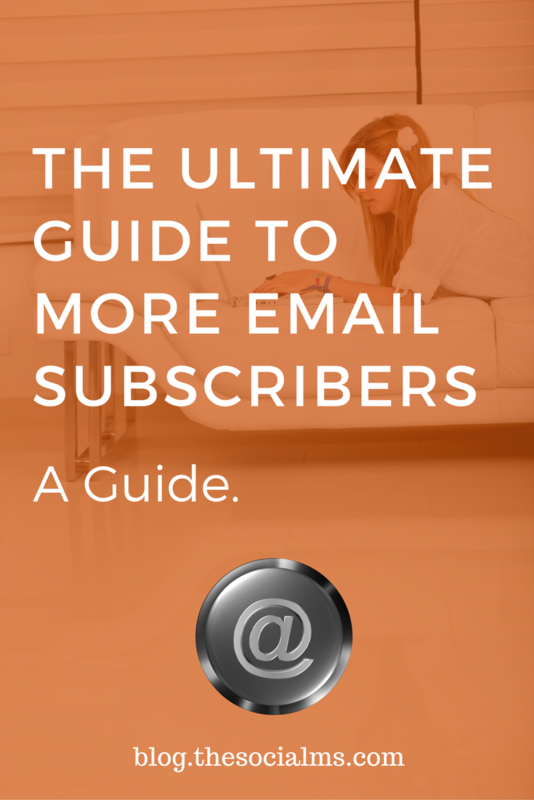 This post is about the first part: Collecting email subscribers. Email marketing is all about growing an email list. Email marketing is all about growing an email list. What this means is you offer signup forms on your website that allow website visitors to sign up for your newsletter. What you need first is an email marketing tool. When you are starting out, the best email marketing tool for you to start with is Mailchimp. The reason for that is simple: Mailchimp is offering its email tool for free until you reach 2000 subscribers and at the same time offers a nice user interface and most of the tools you will ever need. That doesn’t mean that you will always use MailChimp – once your list grows you may need a more advanced tool with better automation options for instance, but for the start, Mailchimp is good and free. Note: For advanced email marketing we recommend the email marketing automation software Drip – which we are using for all our email marketing. 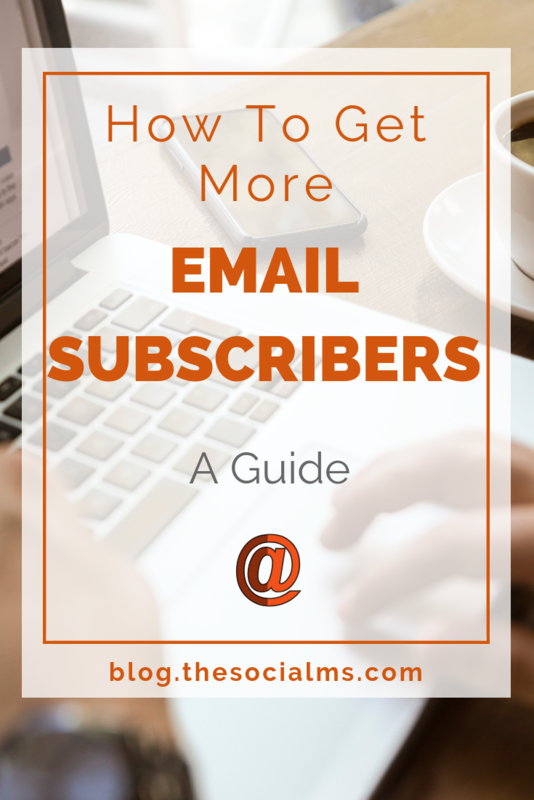 The basic way of getting new subscribers is a simple newsletter signup somewhere on your site. This may not be the most efficient form of providing a signup (not leading to many signups in comparison to your overall traffic), but it’s a start. Basic signup form in the Sidebar: This puts the signup form into your sidebar where you might also have some options. Here you have to use a very short signup form. The biggest advantage here is that is the form of the signup that is the least intrusive on visitors – but you will also generate the least signups with. Basic signup on top or bottom of the page: This puts a small bar on the top or the bottom of your webpage that stays visible while scrolling – in which you either put a very short signup form or a link to a signup form. This is only slightly more intrusive than using a form in the sidebar, but at the same time is far more effective as you make sure that everyone sees your offer/newsletter signup. Can be done via WordPress plugins or tools like HelloBar for instance. Basic signup form in lightbox: This opens the signup form in a lightbox/popup overlay above your webpage content. This may seem intrusive, but it makes sure most if not all visitors get to see your offer. This can be achieved with several different WordPress plugins – and depending on which plugin you use you determine exactly how your popup looks and more importantly when it is shown. For instance, you can choose to show the popup after a certain amount of time, at once, or use the very efficient method to open the popup when the plugin detects your subscriber is just about to leave. These simple forms of subscriber collection offer a first way to get started. But that’s not everything. The most important thing you need to know about email subscribers collection is that it is all about conversion rates: The bigger the percentage of visitors is that signs up for your newsletter, the better. A lead magnet is a free piece of content that you are offering to your new email subscribers in exchange for their email addresses. This can be a short list of lifehacks, a tutorial on how to achieve a specific task, a list of online tools, a whitepaper, … You should use something that you can produce quickly and that doesn’t cost you a lot of money to produce, and it should be centered around the interests of your audience. A lead magnet is a free piece of content that you offer your new email subscribers in exchange for their email addresses. You can also offer various lead magnets on your site. This is somewhat similar to a lead magnet, as it works via a free piece of content, but it differs in how it is used: Instead of using a dedicated signup form on your site that is shown everywhere or in certain places, here you use your existing blog or site content. I can go one step further: I can implement the content upgrade directly into my article. Content upgrades don’t need to be specific to one article each – but when you put a content upgrade into an article you should make sure that it is related to the article. This is a very effective way of growing your email subscribers list via a particular piece of content. These are just a few examples – keep in mind that the story needs to be somewhat true. If you have a lot of very long articles on your blog, you can create a good looking PDF of every article and offer it in exchange for an email below every article. 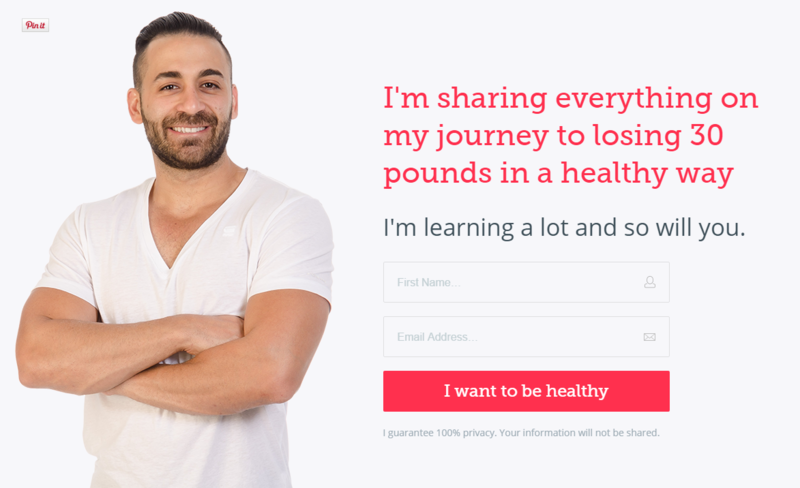 Dedicated Landing Pages give you more space to pitch your lead magnets. When optimizing different forms of subscriber collection processes, one thing that is very important to understand is that you can use a lot of the above in combination. There is no rule that says you can only use one of these methods, in fact, you should use almost all of these if you want to have a chance to get to the 5 – 10% conversion rates I was talking about in the beginning. If every visitor gets a lightbox with an email marketing course, you shouldn’t also use this as a content upgrade. For a great example of how different signup mechanisms can be combined visit Neil Patel’s blog. Whatever you do, make sure that you somehow watch your conversion rates. You need to know whether integrating content upgrades on your evergreen blog posts lead to an increase in conversion rates by 1% or by 0.1%. Because if you don’t know whether what you are doing is good, you don’t know whether you should keep doing it. The key is to always only change one aspect, the measure the results and then continue. If you run more than one test at the same time, it will become difficult to gain conclusive results. Some tools that you can use offer the option of AB testing – the process that lets you divide your website in two variants that are split tested at the same time. I recommended Mailchimp at the beginning of this post and I stand by this recommendation: When you are starting out, Mailchimp is a good option. Once you proceed to a bigger list and need to pay for your email tool anyway, you should think about other options as well. Convertkit is subscriber-centric – one subscriber won’t be in your list multiple times – which is a good thing! Convertkit makes it really easy to build automated conversion funnels. 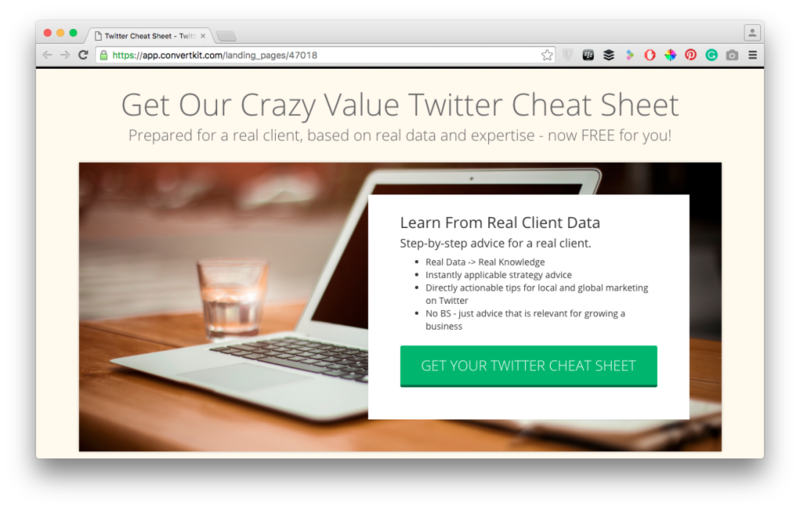 Convertkit comes with a few prebuilt landing pages that you can easily adapt to your needs. Convertkit’s automation rules make it easy to create complex automation workflows. For advanced email popups and subscription methods, you can use SumoMe. It’s a freemium tool that offers you it’s basic functionality for free, but you have to pay for advanced options like AB-testing. Sumome integrates itself into your site in the form of a WordPress plugin. Sumome allows you to integrate many different forms of subscription forms on your site – like lightbox/popups, a welcome mat, etc… many of the advanced subscriber generation tactics described above can be achieved with Sumo.ly. Collecting email subscribers is a process that you should always work on – new list subscribers are fresh leads and as a business, you always need more fresh leads to grow faster!